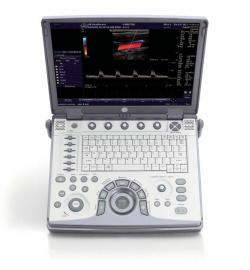 What Is Vascular Ultrasound (Sonar)? Vascular ultrasound, also known as ”Sonography”, “Doppler Exams”, “Duplex-Doppler” or “Duplex Scans” is a non-invasive procedure that uses high-frequency sound waves to create images of the arteries and veins . Vascular ultrasound has begun to replace older, more invasive, radiological procedures for the diagnosis of vascular disease. The non-invasive nature of ultrasound makes it a safer, more cost-effective imaging procedure. What Does “Vascular” Mean and What Is Vascular Disease? “Vascular” refers to the body’s circulatory system which consists of arteries (blood vessels carrying oxygenated blood from the heart) and veins (blood vessels carrying oxygen depleted blood to the heart). Vascular disease refers to the harmful changes that occur within the blood vessels over time. This refers to diseases of blood vessels outside the heart and brain. It’s often a narrowing of vessels that carry blood to the legs, arms, stomach or kidneys. There are two types of these circulation disorders: Functional peripheral vascular diseases don’t have an organic cause. They don’t involve defects in blood vessels’ structure. They’re usually short-term effects related to “spasm” that may come and go. Raynaud’s disease is an example. It can be triggered by cold temperatures, emotional stress, working with vibrating machinery or smoking. Organic peripheral vascular diseases are caused by structural changes in the blood vessels, such as inflammation and tissue damage. Peripheral artery disease is an example. It’s caused by fatty buildups in arteries that block normal blood flow. How long is the test and is there any preparation needed? The ultrasound takes about 30 to 90 minutes to complete depending on the type of examination. Please plan to arrive about 10 minutes before your scheduled appointment to complete the registration process. Overall no patient preparation is needed. Patients coming for an abdominal ultrasound for the evaluation of the Aorta, must be fasted from 22h00 the previous night.